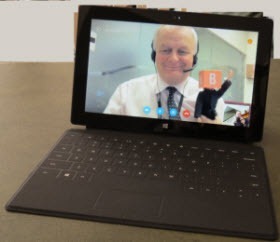 Over the past few days I have had a Microsoft Surface and checked out Skype for Windows 8 on a touch device. 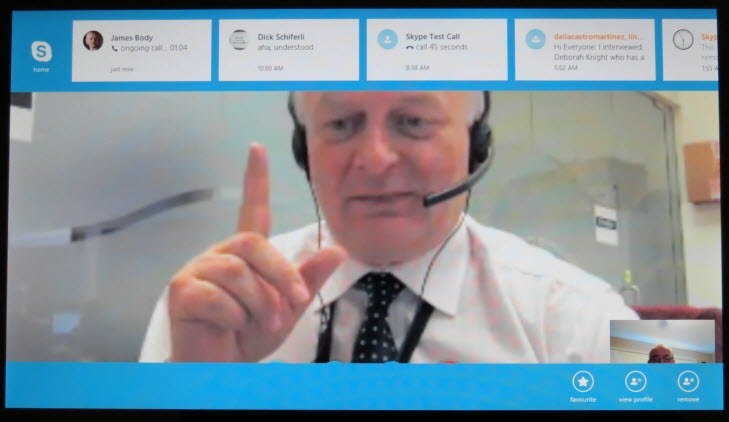 While there was no major issue using Skype for Windows 8 on a legacy screen with mouse navigation, using a touch screen is somewhat more intuitive. While many of the results reported earlier on a desktop PC are similar the other question relates to overall call performance. 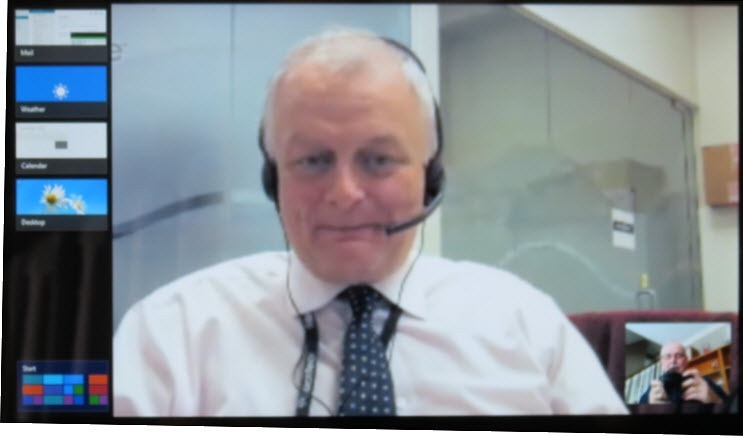 I made four video calls, one of which was answered in Jerusalem and another in London, UK: In all cases I had no issue with the video. In fact, using the hinge to mount the Surface on a desktop, once again, as with the iPad, a tablet device makes an ideal desktop video phone. Note that the video camera icon brings up a menu for selecting front, rear or no camera. 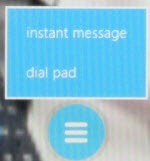 The third icon brings up a menu for selecting Instant Messaging or a Dial Pad. When calling a user on Skype for Windows Classic, the Call Information screen (available on Skype for Windows Classic) shows that only a 320 x 240 image is being sent at 15 fps. The interesting observation is that the actual image can show up on a 22” screen without any indication of pixilation. 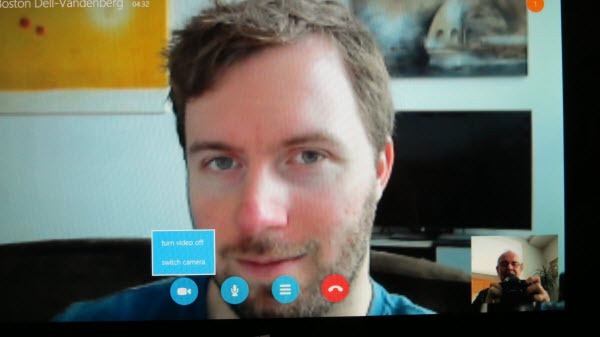 Also note that Skype video on the Surface uses its embedded H.264 codec. (My PC was using the Logitech C920 webcam which also supports H.264). 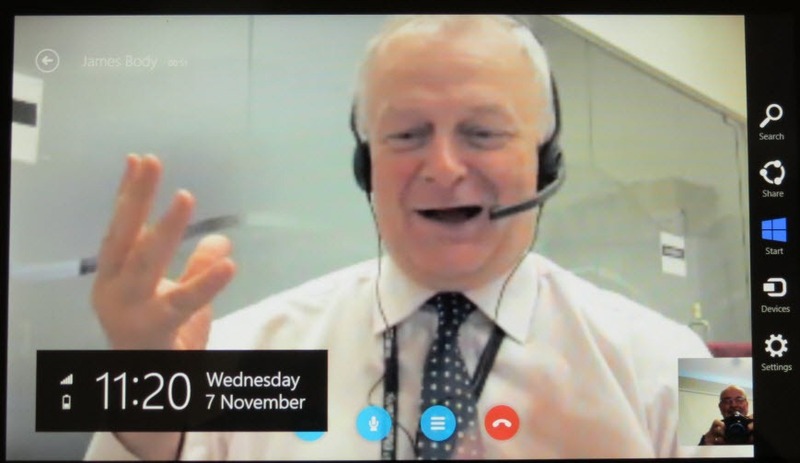 Bottom line for Skype video on the Surface is that it is using much less bandwidth than for HD video on PC’s, yet it delivers an excellent quality image on larger displays. One final observation: The USB port on the Surface recognized third party headsets; however, it did not recognize third party webcams. 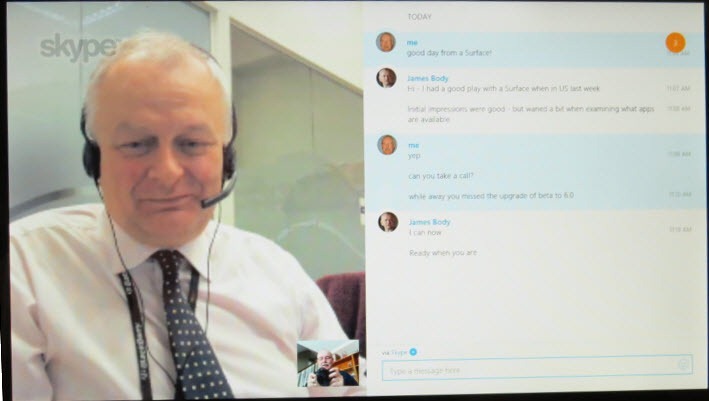 Bottom line: Using Skype on the Surface set up on a desktop or table makes the Surface an ideal desktop video phone with ready access to many of the other features of Skype for Windows 8. 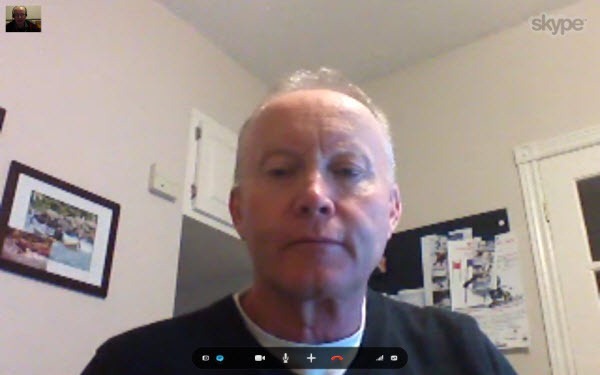 Yet Skype appears to have figured out a way to minimize bandwidth without sacrificing picture quality when viewed on a large desktop PC screen.